PLANNING DEVELOPMENT: FINGAL COUNTY Council has begun a period of public consultation on a new urban strategy for Malahide in north Co Dublin. The council is seeking proposals for a commercial, retail, residential, amenity and leisure strategy for the town. The aim is to create a vision for Malahide which will, says the council, "provide a guide for future development proposals and for the enhancement of the vitality and viability of the town". The county development plan also asserts that development proposals should have regard to the special historic and architectural character of the area and its special amenity and tourism value. Issues for consideration in the strategy include the need for improved retail, leisure, hospitality, recreational and health facilities, according to the invitation for submissions. It also invites opinions on the "role of car parking", access and public transport, co-ordinated and integrated development and urban design. Maps produced by the council indicate an area whose boundary encompasses the marina village, golf links, and green space at Malahide Demesne and Chalfont Place/Avenue. The period for submissions will be followed by the appointment of planning consultants to help the council prepare the strategy. A council spokeswoman said there were no preconceived plans, bar the guidance in relation to character and amenity need for renewal. This information, along with guidance on making a submission, may be seen at the County Hall, Swords. It is also available at the council's Blanchardstown offices at Grove Road, or at Malahide public library. While the strategy does refer to commercial development, it is thought large scale or high density development is unlikely given the emphasis on the existing character of the town. Large scale development is already pressing ahead in the nearby, but Dublin City Council-controlled, Malahide Junction/Clare Hall area. Dublin City Council's North Fringe Framework Development Plan recommends that the Malahide Road junction with the M50/N32 should be partially bypassed to create a new high street or boulevard which will link the emerging new town centre - Malahide Junction Centre - with another square at the planned Dart station at Clongriffin. CAMPUS MASTER PLAN: THE GRANGEGORMAN project is a visionary urban development in the north inner city. Led by the Grangegorman Development Agency (GDA) under the chairmanship of former Dublin city manager, John Fitzgerald, the project aims to combine the strategic objectives of the Dublin City Council development plan with DIT's drive for a world class campus and technology centre, the HSE's objectives for primary and community care, and the needs of the neighbourhood community for recreational amenity and educational development. The development site (St Brendan's Psychiatric Hospital) is situated to the north of Smithfield on Dublin's northside and extends to some 30 hectares of mostly open space. The circa 400,000sq m (4.305 million sq ft) of development is relatively low density but reflects the specific nature of the development - academic and healthcare - and also the high proportion of open amenity and recreational space which will be included in the development. The master plan is still under preparation by Moore Ruble Yudell of California in association with DMOD Architects of Dublin. 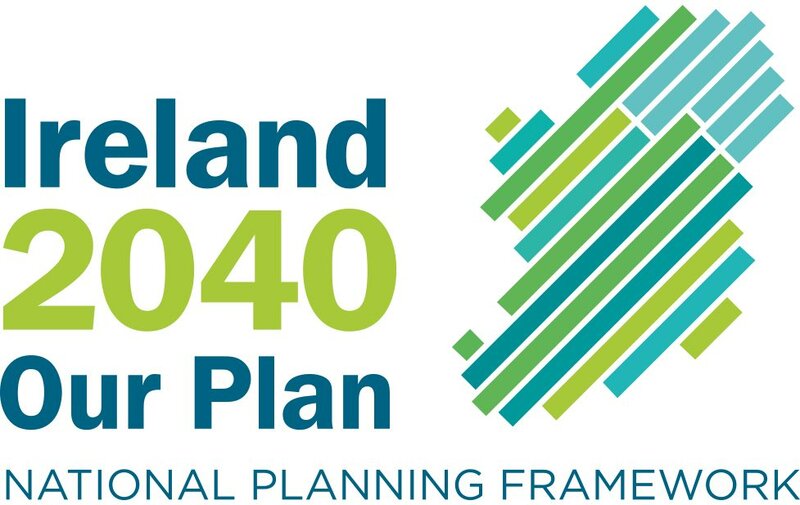 The GDA has engaged a team of advisors, including FGS and DLPKS and led by WK Nowlan Associates of Dublin, to prepare the strategic plan and manage the master plan and early development processes. The master planners have outlined an emerging master plan proposition of six physical themes: two hearts, one academic and the other social/cultural in the north-west and south-east quadrants respectively; a major east-west pedestrian priority route (St Brendan's Way) weaving its way from Constitution Hill through the site towards Prussia Street; a series of green fingers reaching out from St Brendan's Way making pedestrian routes through the buildings and into the local area together with a major quadrangle at the academic heart looking south across to open playing fields; the connection with Constitution Hill at Broadstone Gate opposite King's Inns; the north-south pedestrian connection through the site linking Smithfield with the North Circular Road; and a contoured uplift in site levels elevating the academic campus above the playing fields and open spaces to the south. For DIT the master plan will describe a 21st century campus for students incorporating cultural buildings, a business and technology park to be operated in association with DIT partnerships and academic programmes all stretching east-west through the site from Broadstone to Prussia Street. For the HSE the master plan will set out a major healthcare complex, integrating with the DIT campus, and forming the North Circular Road frontage and entry point to the site. A primary school and public library are proposed for the neighbouring community together with access to the new indoor and outdoor sporting facilities, landscaped gardens and children's play spaces. Housing for the elderly and daycare facilities are also planned. The urban campus will be pedestrian priority and be open to the adjacent areas and will provide a high quality amenity environment for local people. Gerry Murphy, GDA CEO says: "This is not just a campus it's a city quarter and the master plan will open the formerly closed hospital site to the city and add hugely to cultural, leisure and economic activity in this part of Dublin." Peter Coyne is programme director for the Grangegorman WKN Consortium. WELL OVER 92,903sq m (1 million sq ft) of property will hit the market over the next five to 10 years as the Dublin Institute of Technology begins to move onto its new 73-acre campus at Grangegorman in Dublin 7. Exceptional listed buildings will be on the market for the first time in decades, and leases will be surrendered on prime Dublin office accommodation. Developers are already expressing interest in a number of properties, says DIT's head of campus planning, Dr Noel O'Connor. "There is a huge amount of interest in the holding and a week doesn't go by without contact from people looking at the buildings. People are interested and they are planning and they are asking," he says. Its existing holdings, about 103,000sq m (1.109 million sq ft) of owned buildings and another 17,000sq m (182,986sq ft) of leased accommodation, makes DIT one of, if not the largest, private holder of space in the city. It controls about 11 acres of land associated with these sites, making for a hugely valuable holding, whether viewed simply as building sites or with finished buildings in situ. The problem for DIT is that all this space and the 39 buildings that make up its holdings are scattered across central Dublin. There is a focus on several main sites but with separate buildings also dotted about. "DIT is located across six or seven major locations in the city and we occupy major buildings on these sites," says Dr O'Connor. "You have to remember we are the largest provider of education in the country. We have a huge student body of about 20,500 students at all levels. It reflects the scale of DIT but you don't get the sense of it because we are so fragmented." This fragmentation is also a reflection of how DIT grew over the decades. It opened its doors more than 120 years ago on Kevin Street in October 1887 as one of the city's first technical schools. Other schools opened and gradually some of these began to fall under the remit of the new state's department of education. DIT emerged from the amalgamation of six colleges about 20 years ago, says Dr O'Connor, some of them former City of Dublin Vocational Education Committee locations. The institute took on its current look with the passing of the DIT Act in 1992. DIT has since grown by leaps and bounds, with rising student numbers, a widening of DIT's educational award capacity and staff numbers reaching 2,000. This growth has forced the move to Grangegorman, but it should also be a huge benefit to the institute, says Dr O'Connor. He points out that the Cathal Brugha Street building in Dublin 1 opened in 1941 with about 250 students. Its tourism and catering courses now handle about 2,500 students, he says. DIT provides awards at apprentice, diploma, undergraduate and postgraduate level. Its new Focas research centre in Camden Row - located behind the main Kevin Street science block - handles no fewer than 100 PhD students working on advanced scientific projects. The holdings are worth a considerable amount given some of the locations. Kevin Street couldn't be more central and sits on a large site. Cathal Brugha Street is also as central as one can get, sitting literally a stone's throw from O'Connell Street. Bolton Street is also in prime development territory. Everything DIT holds will come under the hammer, Dr O'Connor says, the idea being that the sales return of these properties and leases would cover a substantial part of the cost of developments at Grangegorman. He would not suggest a possible value for the various properties, and rightly so. Much of the yield will depend on conditions at the time a site reaches the market, nor would he want to show the institute's hand in terms of cost. And he stressed that the properties would be released on a phased basis, to match the departure of faculties from existing locations to the new campus. Ronan Webster of CB Richard Ellis applied a quick tot and believes that the holdings would be worth at least €300 million to €350 million. "There is good stuff and there is bad stuff in there," he says. "Much of what is available would need refurbishment." If one assumes 92,903sq m (1 million sq ft) of space, perhaps 74,322sq m (800,000sq ft) would be useable and this could sell at between €6,459 per sq m (€600 per sq ft) and €10,764 per sq m (€1,000 per sq ft), with a mean of about €8,611 per sq m (€800 per sq ft). That would yield €640 million but it will cost between €3,230 per sq m (€300 per sq ft) and €4,306 per sq m (€400 per sq ft) in refurbishment costs, he suggests. This reduction brings the possible value to a very rough estimate of €300 million to €350 million. He noted that a number of the buildings were listed structures. DIT indicated that Cathal Brugha Street, Bolton Street and the building adjacent to the library in Rathmines are all listed. "Office or residential is how you would use these properties," says Webster. The brick building in Rathmines could be subsumed into the library, but Bolton and Cathal Brugha streets would readily convert into residential. James Meagher of HT Meagher O'Reilly agrees that these properties would readily lend themselves to residential. "If you couldn't get a commercial use you could convert to residential," he says. "You could maybe use it as student accommodation or as a hostel-type hotel." One significant challenge would be the lack of parking. These are older buildings and do not offer underground space. Nor would it be easy to retrofit underground parking beneath these structures. The large holding in Mountjoy Square is all leased and this probably won't return anything for DIT, says Meagher, unless the leases are good for more than five or 10 years. Subletting is an option but then DIT would get dragged into property management that is not part of its educational remit, he adds. There was also the land value associated with the properties. Kevin Street has at least two acres, he suggests. The building is not listed and this was hugely valuable land right on top of St Stephen's Green. "If the buildings are redundant they could be knocked and rebuilt," he says, with the land being much more valuable than any attempt to use ageing office space. DIT will try to maximise the return on its property portfolio, Dr O'Connor says. "The property here will go towards funding the new development and that is the whole objective. Ten years will see most of DIT relocated. Even in five years you are going to see a major tranche of students up in Grangegorman." The institute also makes much of remaining in the heart of the city rather than decamping into the suburbs. "We pride ourselves on being DIT and being located in the city," Dr O'Connor says. "The new campus is in the inner city as well. We are not moving out." And although leaving places with such a long and strong association for DIT will be difficult, staff are ready for a change, he suggests. "Everybody is looking forward to the new campus. Certainly there will be nostalgia and the buildings have served Ireland well over the past century. But the different faculties are looking for the next generation of facilities. Grangegorman will give them this." AN BORD Pleanála has confirmed that it will accept applications for the Corrib gas project's modified onshore pipeline route under the Strategic Infrastructure Act which allows for fast-tracking certain projects. Shell E&P Ireland has prepared two applications for the planning appeals board under the fast-tracking legislation, which may result in another oral hearing. The first of these two was lodged on behalf of the Corrib gas developers on Monday - hours before formally rejecting a compromise proposal from Erris residents which aimed to resolve the continuing difficulties. The compromise, which is still before Minister for Energy Eamon Ryan, involves relocating the refinery currently under construction at Bellanaboy - but dropping a demand for it to be built at sea. A coastal location would obviate the need for an onshore pipeline and would not pose the risk which the current refinery does to public drinking water, as it is within the Carrowmore lake catchment, the seven Erris community leaders contend. All seven were key supporters of the Mayo Shell To Sea campaign, which is making no comment on the development. The compromise has received public endorsement from the Bishop of Killala, Dr John Fleming, Mayo Fine Gael TD Michael Ring and Labour Party president Michael D Higgins - all of whom have appealed for Shell and Mr Ryan to respond. Mr Higgins yesterday described the bishop's support and that of community leaders as "very significant", and urged StatoilHydro, as a partner in the Corrib gas project, to use its influence with Shell if further conflict is to be avoided. "StatoilHydro is responsible to a Norwegian government which has an oil and gas development policy that stresses consultation must take place with local communities," Mr Higgins said. However, Pro Erris Gas Group secretary and retired garda Brendan Cafferty described the compromise location at Glinsk on the coastline as "another diversion" and "preposterous". In a related development, the European Parliament's petitions committee is to discuss Corrib gas issues on May 26th. This follows a petition lodged last year by former Shell To Sea spokesman and Galway-Mayo Institute of Technology lecturer Dr Mark Garavan. His petition argues that the project is in breach of a number of EU directives, including the habitats, Seveso and water framework directives. Shell E&P Ireland's first application to an Bord Pleanála this week relates to compulsory application orders (CAOs) for access to land on the modified high-pressure pipeline route. The second relates to planning permission for the actual route. CONTENTIOUS proposals to increase levies by 400% on new homes on zoned land in Clare appeared doomed yesterday. Elected members criticised the county council's draft developer contribution scheme: 2008-11. Cllr Martin Conway (Fine Gael) claimed the new charges were totally unrealistic in the light of a current downturn in the housing market. Cllr Brian Meaney (Green) said the timing of the new contribution scheme should have been put in place 10 years ago at the start of the "bunding boom". Cllr Tony O'Brien (Fianna Fail) warned it would be counter-productive to introduce new charges. Currently, housebuilders constructing homes on unzoned land pay EUR4,180, but under the council's proposed scheme, the development levy would more than double to EUR12,456. Those seeking to build holiday homes are facing a 300% increase in levies, going up from EUR9,500 to EUR27,050 per home. The levies are imposed on builders to finance water, sewerage, road and community infrastructure and must be paid before houses are occupied. In the past four years, the council has raised EUR34 million from the scheme. However, the target for the revised scheme is EUR101m. Only EUR18m of the EUR3 4m generated has so far been spent. The Construction Industry Federation (CIF), said the scheme was unjustifiable and unsustainable. CIF spokesman Conor O'Connell claimed the increase would add 8% to house prices in Co Clare. "The council is asking the first time buyer to meet the cost of infrastructure in Clare yet the investment will benefit everyone," he said. THE PROPOSAL in this week's Green Paper on local government that the Dublin Transport Authority (DTA) is to be chaired by whoever becomes the capital's first directly-elected mayor will compensate only partly for a significant democratic deficit in the authority's composition. The Minister for the Environment, John Gormley, said he had got the agreement of his colleague, Minister for Transport Noel Dempsey, that the mayor would chair the DTA - in 2011; as currently framed, this powerful new body would be headed by a ministerial appointee. The Dublin Transport Authority Bill, published last week, provides that none of the 10 members of the authority would be elected representatives, and that only four of the 12 on its advisory council would be members of the Dublin and Mid-East regional authorities. The rest would all be appointees of the Minister for Transport - chosen, the Bill says, on the basis of their expertise in "relevant disciplines", such as finance, transport or planning - as well as ex-officio members such as Dublin city manager John Tierney. Lest there be any impression that the DTA is not a creature of central government, there are no less than 230 direct references to the Minister in its 78 pages - mainly dealing with his powers to order the affairs of the authority; in this respect, it is par for the course. Establishment of the DTA, according to the explanatory memorandum, "will ensure, for the first time, that there is a single, properly accountable body with overall responsibility for surface transport in the Greater Dublin Area" (GDA), which includes Meath, Kildare and Wicklow. Its general functions will include strategic transport planning, provision of public transport services and infrastructure and traffic management. It will also take over responsibility from the Railway Procurement Agency (RPA) for the thorny issue of introducing integrated ticketing. But the RPA will stay in business, with continuing responsibility for the delivery of Luas and metro projects. Indeed, the agency fought an evidently successful bureaucratic battle against an earlier, apparently firm proposal that it would simply be subsumed into the DTA. The only body that is to be dissolved under the Legislation is the Dublin Transportation Office, which has performed a co-ordinating role for transport in the region and was also the originator of the metro plan - now causing "wigs on the Green" as details of its design emerge. The DTA's first duty will be to prepare a six-year transport strategy for the GDA - in consultation with the local authorities as well as the wider community - covering investment in infrastructure, and the procurement and integration of public transport services. In preparing its integrated implementation plan, the DTA will get written guidance from the Minister on "multi-annual funding arrangements", though it will be obliged to have "due regard" for "the most beneficial, effective and efficient use of Exchequer resources". Where possible, the DTA is required to secure the provision of public transport infrastructure through existing agencies, such as the National Roads Authority, the local authorities, Iarnrod Eireann and the RPA - though it will have "step-in" powers, if any of these fail. However, the Bill does nothing to liberalise or open up the Dublin bus market. The "exclusive rights" of Bus Eireann, Dublin Bus and Iarnrod Eireann to operate the services they currently provide are reaffirmed, and the DTA is obliged to award them direct contracts. One of the most significant provisions of the Bill is the land use planning powers it gives the new agency. In future, there will be an onus on the GDA's seven local authorities to ensure that their development plans are consistent with the DTA's transport strategy. The Dublin and Mid-East regional authorities, though largely powerless, will also be required to include a statement in their regional planning guidelines "explaining how there will be effective integration of transport and land use planning", the memorandum says. Furthermore, the 2000 Planning Act is being amended to give the Minister for the Environment power to direct any of the GDA's local authorities to review or vary their draft development plan to ensure that its objectives are consistent with the DTA's transport strategy. Another amendment to the Planning Act will make it easier for the local authorities to refuse planning permission for any development that would be inconsistent with the transport strategy, because they wouldn't risk having to pay compensation to disappointed developers. A HOME improvement incentive scheme was announced yesterday which, if implemented in full, will lead to 1 million of the 1.7 million homes in the State being retrofitted to increase energy efficiency. Minister for Energy Eamon Ryan yesterday announced the home energy savings scheme for existing homes, designed to reduce greenhouse gas emissions and reduce energy use. The scheme is to be introduced on a pilot basis with an initial investment of EUR5 million available in four areas - North Tipperary, Co Limerick, Co Clare and Dundalk. Some 2,000 homes will be retro-fitted in this first phase, with State financial contributions of up to EUR2,600 per home available. However, when the scheme is widened to a nationwide level in 2009, some EUR100 million will be made available for retro-fitting incentives, said Mr Ryan. The scheme will target older housing as these dwellings are most in need of retro-fitting. Under the scheme, for an outlay of EUR100, the householder will be entitled to have their home assessed by an adviser who will give the house a building energy rating. Sustainable Energy Ireland (SEI) will pay the balance of the approximate EUR350 cost. The adviser will then set out a schedule of work that may include attic insulation; wall insulation; low-emission double glazing, heating control or replacement of the boiler. The Government will then pay up to 30 per cent of the cost of these works to a maximum of EUR2,500. According to SEI estimates, the average household will then save up to EUR500 in their energy bills every year. Minister for the Environment John Gormley has reversed his department's decision to refuse to sanction the appointment of an engineer to develop safe cycling routes in Dublin city. The request had been made by the council's traffic department following a meeting of its cycling forum which had raised concerns about the serious lack of resources dedicated to cycling and the low number of cycling lanes, despite Government assertions that it wanted people to stop using their cars for commuting. The chair of the cycling forum, Labour councillor Andrew Montague, said it was particularly disappointing that Mr Gormley, who is known to be a keen cyclist, would refuse to sanction the appointment of a cycling officer. The council has had no engineer dedicated to maintaining cycling facilities such as fixing potholes in bicycle lanes, resurfacing lanes, planning new lanes, locating bicycle racks and identifying junctions where cyclists are in danger. This job has been done by various engineers in the traffic department, in addition to their normal work. The council said it has now been given sanction for the new position and will advertise the job in the coming weeks. The new cycling officer will audit all existing cycling infrastructure, design new infrastructure, prepare an upgrade programme, and promote cycling through education and training programmes. Chairman of the council's traffic and transport committee Labour's Seán Kenny yesterday welcomed the decision. "At last Dublin City Council will be able to put a qualified senior engineer into this vital position," he said. ONE kilometre off the Connemara coast, not far from Spiddal, a rather innocuous looking device is floating in the choppy waters. At first glance, you'd think it's some sort of diving spot or a mooring but look closer and you'll spot a small wind turbine and more technical equipment. This machine is a wave energy converter - a quarter-scale prototype that could play a huge part in Ireland's attempts to become less dependant on oil and gas reserves. For a year-and-a-half, this Ocean Energy buoy has been able to withstand the harsh weather conditions of the western seaboard. Unlike hundreds of other experiments around the world, it hasn't suffered any physical problems and continues to generate electricity. Trials suggest each buoy can generate a maximum 1.5 megawatts (MW) of electricity - enough to power 300 homes for a year. The energy output of one buoy is equivalent to that of a standard land-based wind turbine but the big advantage of ocean energy over wind energy is that wave power is entirely predictable. Wave behaviour can be forecast days in advance. Furthermore, the buoy "looks like a fishing boat on the horizon", according to one onlooker. "It doesn't blight the landscape." For years we bemoaned the fact that we were doomed as an industrial nation due to our lack of natural resources. Now, Ireland is being hailed internationally as a ideal location for the wind and ocean energy industry. Ocean Energy, the company who developed the wave energy buoy with Sustainable Energy Ireland and the Hydraulic Marine Research Centre (HMRC) at UCC, claim the wave energy sector could lead to the creation of 4,000 jobs and generate up to €1 billion for the country while cutting Ireland's C02 emissions by 750,000 tonnes. Tests on the buoy were validated by the HMRC and represent a major breakthrough for Irish technologists in the search for viable alternative energy. UCC senior lecturer and HMRC director Dr Tony Lewis has worked with Ocean Energy from the outset and says Ireland has incredible potential for wave energy generation. "Such buoys could be dotted all over the Irish coast but there are limitations in that they need to be able to link up to the electricity grid. If the grid isn't accessible in a particular point, wave energy can be ruled out. However with the billions that are to be invested into modernising and expanding the grid, this will become less of an issue. There is no reason why this country could not become a world leader in wave energy generation devices," said Dr Lewis. The Government has given up to €12 million to third-level research last year. They have also set targets that by 2012 and 2020, 75MW and 500MW of energy will come from the ocean. An Ocean Energy Development Unit is planned under the Programme for Government. The Ocean Energy buoy is based on a failed Japanese product. It was first developed at a wave tank at UCC and then enlarged and re-tested at a bigger tank at the Ecole Central de Nantes in France. The 28 tonne prototype was put to sea in December 2006 and has spent 9,000 hours at sea - without damage. Ocean Energy Commercial Director, John Keating says: "Ireland is now at the forefront of wave and ocean energy development. The announcement by Energy Minister Eamon Ryan of substantial investment in the ocean energy sector is an acknowledgement of the work being done." Ocean Energy is to develop a 650 tonne full-scale wave energy converter which they hope to put to sea in late 2008. If their success to date continues, it could be a landmark in Irish energy production. "This country has the capacity to be an energy exporter. It's a huge challenge but there's no reason why is should not happen as we could easily provide for Irish needs and sell on the rest. We have more than enough capacity if the sector is structured properly," said Mr Keating. The Corrib gas terminal in north Mayo. The bill for Garda deployment there has been running at €800,000 per monthSHELL EP Ireland has rejected a proposal by Erris residents that it should move its gas refinery to a coastal, rather than offshore, location. "Moving the terminal is not an option," the company said in a short statement. "The issues raised in 2005 were around the perceived safety of the onshore pipeline - not the location of the terminal. We believe we have taken every reasonable step to address genuine safety concerns around the pipeline," it said, adding that it "has at all times been willing to meet and discuss with anyone their concerns about the Corrib project" and "this remains our position". The rejection came just hours after a call yesterday by Bishop of Killala Dr John Fleming on the Corrib gas partners to "consider carefully" the compromise proposal made by Erris residents in relation to the €900 million project. Welcoming the proposal made by seven Kilcommon residents - Mary and Willie Corduff, Philip and Vincent McGrath, PJ Moran, Pat O'Donnell and Caitlín Uí Seighin - Dr Fleming described it as "an important and significant attempt to resolve the ongoing difficulties which have surrounded the Corrib gas project in north Mayo". Fine Gael Mayo TD Michael Ring and Labour Party president Michael D Higgins have already welcomed the move and have urged Shell and Minister for Energy Eamon Ryan to engage and "not let the opportunity slip". Mr Ryan was making no official comment yesterday. However, Shell EP Ireland submitted an application to Mr Ryan's department yesterday for its modified onshore pipeline. A department spokeswoman said that his statutory role in relation to this may preclude any wider involvement. Shell EP Ireland is also submitting its application to An Bord Pleanála and is seeking a direction from the board on the modified pipeline's qualification under the Strategic Infrastructure Act. Dr Fleming said he appreciated the courage of the seven in "dropping their demand that the refinery be located at sea and agreeing that it be sited onshore", and he invited the Corrib gas partners to "consider this proposal carefully". The alternative refinery site at Glinsk, proposed by the seven, was first identified last year by RPS, acting as a consultancy for the Corrib gas project. "Since then an increasing awareness of the suitability of the site has grown," he said. The priests of the parish had recommended it to Mr Ryan and it had now been given further support. Dr Fleming suggested, therefore, that the Glinsk proposal be examined carefully as a viable alternative, with the potential to bring closure to this issue. "I accept that substantial investment has already been made in the site at Bellanaboy and I realise that relocation to a new site will increase the overall cost of the project. "However, I believe that the benefits of relocation will far outweigh the financial considerations involved," the bishop said. "Importantly, a decision to relocate could significantly allay the fears that have plagued the people of this area in recent years. The process of healing the deep hurt felt within the parish of Kilcommon and the wider community in Erris could also begin. "Furthermore, it is my hope that this may allow the Corrib gas partners to open a new and more peaceful chapter in their relationship with the local community," Dr Fleming added. GARDAÍ CALL it the "golden mile" because of overtime opportunities, while locals refer to it as the "Shell highway". A mile-long stretch of road along windswept bogland in north Mayo has been the focus for continuous opposition to the Corrib gas project since work on the €200 million refinery resumed in October 2006, writes Lorna Siggins. The road borders the "largest construction site in Ireland", as Shell calls it, and it says the refinery is 30 per cent complete. State approvals are being sought for an essential component - a modified onshore pipeline route. "The Corrib gas partners recognise that this project can only succeed in partnership with the local community," Shell EP Ireland's chief executive, Andy Pyle, has pledged. The difficulty for Pyle and his colleagues in Statoil and Marathon is that securing this pledge is proving far more elusive than he may have imagined after the September 2005 release from prison of a group of protesters known as the Rossport Five. The five, and the Shell to Sea campaign that was formed around them, gained much public support. Marine minister Noel Dempsey commissioned a safety review of the pipeline, which recommended that its pressure be halved. He also appointed a mediator, Peter Cassells. Cassells's efforts proved unsuccessful, partly because he was precluded from dealing with the project in its entirety. In his report of July 2006, he recommended modification of the pipeline route. Work resumed on the refinery later that year, early-morning protests began, and there were several clashes with up to 200 gardaí deployed in Erris to provide security for the developers. Ironically, television images of elderly people being manhandled into ditches did nothing for the Shell to Sea campaign. The bill for Garda deployment has been running at €800,000 a month, based on figures supplied by Minister for Justice Brian Lenihan. Shell's modified pipeline route runs through commonage and Special Areas of Conservation, and is set to prove as controversial as the original. The decision to issue compulsory acquisition orders may result in further protests. Hence last weekend's significant decision by key Mayo Shell to Sea supporters to drop that "refine at sea" demand, and suggest a compromise proposal on the coast that would not require an onshore pipeline and would be away from drinking-water supplies. Shell, which reported record earnings again this year of $27.6 billion (€17.7 billion), can write off all expenditure against tax. It secured planning approval and an integrated pollution prevention control licence for Bellanaboy, and believes it still has full State support. The continuing spectre which has haunted all this activity - and now haunts Minister for Energy Eamon Ryan - has been the wording of Bord Pleanála inspector Kevin Moore in his report on the first, unsuccessful, planning application for the refinery in April 2003. Moore described Bellanaboy as the "wrong site" from strategic planning, environmental, regional and sustainable development perspectives. He noted that there was a "failure in understanding the community and environment into which this large industrial development seeks to be sited" and "this emphasises how out of context this proposal is". Shell's subsequent successful planning application modified some of its plans but did not change the location. That inland location requires one of the longest high-pressure pipelines of its type in Europe. It also lies within three water catchments, including a public drinking-water supply for some 10,000 people at Carrowmore lake. BUILDING firms have paid €78.6 million to avoid their responsibilities under the social and affordable housing scheme. But home-seekers remain the real losers as city, county and town councils receive the payouts but do not re-invest the monies in social housing, say housing rights campaigners. More than 43,000 people are on council housing waiting lists — with many anxious to avail of affordable housing. Under Part V of the Planning and Development Act 2000, developers were required to set aside 20% of their rezoned land for social or affordable housing. But contractors can skip their responsibility by availing of a buy-out loophole. However, housing support groups are concerned the builders’ opt-out payments could lead to young couples, in particular, continuing to struggle to get a house. Many applicants, who could only afford a mortgage under the social and affordable scheme, are slipping further down council waiting lists. A breakdown by the Irish Examiner of the amounts reveals developers paid 31 county councils, five city councils and 22 town councils. Focus Ireland last night demanded councils stood up to developers and insist on homes being provided rather than cash. “If they’re buying their way out, they’re being let buy their way out,” said head of development David Burke. Mr Burke said local authority social schemes were designed for young families. On average, however, they are waiting up to four years to get a roof over their heads. The Irish Council for Social Housing said the developer payments meant it took years longer for local authorities to find or develop other housing schemes with the cash. “That slows the process of people being taken off the waiting lists,” said executive director Donal McManus. With the slowdown in the private residential building, the fears remains there will be little or no social and affordable homes built in the near future. Local authorities, it emerged, are not allocating the builders’ funds into social and affordable schemes. Now the Department of Environment is warning local authorities that budgets will be cut if they continue to hoard payments from developers. Correspondence from the department shows its secretary general Geraldine Tallon is “determined” funds are used as soon as the councils receive the money. “Unused Part V funds will be taken into account when allocations to authorities for the main social housing programmes are being finalised,” said Ms Tallon’s letter. NOT CONTENT with being the State's biggest car-park operator and running one of its largest shopping malls, the Dublin Airport Authority (DAA) now wants to add another string to its bow: speculative property development on a massive scale. When you boil it down to its constituent parts, the €4 billion Dublin Airport City announced on Friday is just another office, retail and hotel development in a city that is coming down with such projects. What it has going for it, however, is that it is right beside the airport and will have dedicated shuttles to and from the terminal. The idea is that Asian multinationals considering the Republic as a European base - primarily for tax reasons - will plump for the airport city as their executives will be able to come and go with the minimum of fuss. The DAA believes that, in a sort of win-win scenario, the €600 million it expects to receive each year from the airport city development will help to keep airport charges down. This will in turn encourage more airlines to fly here and thus boost the attractiveness of the airport city as a location for headquarters operations. It is an intriguing idea and it might well work, but it is hugely speculative and begs the question as to whether it is really the sort of activity that a State company should get into, particularly in the current climate. Property speculation is after all a private-sector activity par excellence , given its combination of high risk and big rewards. What makes the move even more questionable is that the DAA is simultaneously slimming down its exposure to what might be considered its core activity: operating airport infrastructure. Terms have been agreed for the separation of Cork and Shannon airports, and the DAA has also sold its stakes in Birmingham and Hamburg airports. The airport city project is without a doubt an ambitious move. And it would be unfair to suggest that the DAA has not thought it through. The essence of the DAA's case for developing its Dublin landbank is that it break its dependence on airport charges and the current dysfunctional cycle in which the charges are set by the regulator, appealed by the airlines and then, by the time they come into force, need to be reset. The DAA claims that the tight regulatory regime that applies to its largest income stream is strangling the business. But on the other hand, being able to introduce higher charges whenever it wants is no solution, as that will drive airlines away to lower-cost airports. The DAA believes the €600 million target for annual revenues from the airport city will cut this Gordian knot. While there is a logic to this, the DAA still has some questions to answer. Why not just sell the land and let private-sector developers take on the risk? Why go for such a grandiose speculative scheme? And why not just develop the land piecemeal over the next 10 years, using the revenues to offset costs at the airport? The DAA would argue that, if it really wants to target multinationals in India and China as tenants, then it has to create a certain buzz around the project and deliver on the promise. Doing this requires an overall plan and a master developer to implement it. The DAA also believes it will get a better return by being the developer. And indeed it will, but it will also have to assume a proportional amount of the risks involved. Obviously the DAA will look at various ways of limiting its exposure but, fundamentally, the higher the return you want, the higher the risk you must take on. And this project is particularly risky; in the way that the collapse of the dotcom boom undermined equally grandiose plans for a digital hub to revitalise Dublin's Liberties, oil prices could seriously undermine the Dublin Airport City project. The kernel of the project is that it is self-perpetuating; the more tenants there are in the airport city, the more money for the DAA; this in turn means lower airport charges, which means that more airlines will fly to Dublin. And the greater the connectivity at Dublin airport, the more people will want to be tenants in Dublin Airport City. With oil peaking at $119 a barrel last week, you could take the view - as does the DAA - that airlines will focus more on costs and airports with low charges will be the winners in the fight for connectivity. However, some analysts are forecasting oil rising to $200 a barrel by the time Dublin Airport City is up and running in 2012. At those prices all bets are off. According to research by Davy stockbrokers, Ryanair would only break even if oil hits $132 a barrel, while Aer Lingus would run into trouble at $125 a barrel. It is hard to think of a speculative property project more directly based on oil prices outside of the oil industry itself. And the State got out of that game a few years ago with the sale of the Irish National Petroleum Corporation. MINISTER FOR the Environment John Gormley will shortly make an order extending the Dublin Bay Special Protection Area, an EU designation intended to protect wild birds, by almost 30 per cent. The extension, described by a spokesman for the Minister as "one of the biggest nature protection initiatives" in a decade, will almost certainly put an end to the Dublin Port Company's long-standing plans for a further infill of 52 acres to expand the port's capacity. The original Dublin Bay Special Protection Area was designated in 1999, but from the outset there have been complaints that the area it covered was too small and did not include key areas close to Dublin Port in the Tolka estuary - following representations from the port. When the draft designation was first advertised by the National Parks and Wildlife Service, the port company objected to the inclusion of the area it had earmarked for expansion. A "mapping error" was admitted, and this area was not included in the final map. The European Commission subsequently initiated legal action against Ireland and other EU member states in the European Court of Justice for allegedly not making sufficient progress in meeting the requirements of the EU Birds Directive. The commission's case was based on a number of instances where Special Protection Area designations should have been put in place on the basis of the scientific evidence, but were not. One of these was the area proposed for development by the Dublin Port Company. The judgment of the court, handed down last December, confirmed that Ireland was required to extend the earlier special area designation in Dublin Bay to include this area. Failure to do so could lead to a massive penalty and daily fines being imposed. Since then, the Department of the Environment has undertaken a comprehensive review of the Dublin Bay special area and the Minister has approved a significant increase in the size of the area from 1,700 hectares to 2,190 hectares, including the area omitted in 1999. Dublin Bay is of considerable ecological importance and is recognised as being so by the designation of substantial portions of its area under national and EU legislation and also under wider- ranging international agreements, such as the UN Biosphere Reserve on Bull Island. In discussions with the European Commission, Ireland has already agreed to redesignate all previously designated special protection areas, ensuring that they are given full protection and formally notifying owners/users of specific "notifiable activities" that require Ministerial consent. In the case of Dublin Bay, a process of consultation with interested bodies has commenced with a view to ensuring that all development proposals are properly assessed to avoid any adverse impact on the populations of protected bird species in the bay. THE DEMOLITION of a 19th century terrace of cottages in south Dublin will begin this morning to make way for the Monkstown ring road. Nearby residents received a notice from Dún Laoghaire-Rathdown County Council last week informing them of the “emergency demolition” of 16 vacant houses at Yankee Terrace, Roseville Terrace and at Annavilla Avenue, off Newtownpark Avenue. Concerns over anti-social behaviour and health and safety in the cottages are the reasons the council has given for beginning the emergency demolition. The council bought the houses by compulsory purchase order following the approval of the road by An Bord Pleanála in 2006. The 1.2km road will link the Stradbrook area of Blackrock to Stillorgan Park. The demolition is much sooner than expected, but was inevitable once the plans for the ring road were passed, Blackrock Fianna Fáil councillor Barry Conway said. “It is sad to see something that is part of local history being demolished,” he added. Blackrock Green Party councillor Nessa Childers said: “It will be unpleasant and unfortunate to see them going. They should have been left intact in the first place and the road shouldn’t be there,” she said. The road will cut through two communities in Fleurville and Rowanville, she said. Caroline Liddy, a former resident of the Annavilla cottages who moved out last October after 25 years, said she was “a bit shocked” at the speed of the demolition. “It is hard enough leaving home, but knowing it is going to be flattened is more difficult, she said. Dublin is increasingly at risk from flooding from the sea, rivers and sudden rain storms, according to environmental experts at a conference in Dublin last week. The two-day conference, entitled SAFER (Strategies and Actions for Flood Emergency Risk Management), heard that Dublin City Council had joined a new European initiative to implement measures to deal with flood risk situations. The five-year, €20 million project is the first of its kind in Ireland. The keynote speaker at the conference was Duncan Stewart, the architect, environmentalist and television presenter. ‘‘As climate change unfolds, we will be exposed to bigger surges from the sea,” he said. Each of the seven partners in the so-called Flood Resilient Cities consortium focuses on how best to protect its city from flooding. The main flood risks in the greater Dublin area come from river flooding, coastal flooding, dam break or collapse and fluvial flooding, also known as ‘monster’ rain. Tom Leahy, deputy city engineer with Dublin City Council, described monster rain as sudden, monsoon-like rainfall that overwhelmed drainage systems. ‘‘This type of rainfall and the frequency of small storms in Dublin are increasing,” he said. Flood prevention constructions that are under way include a €5.5 million sea-lock and navigation gate at Spencer Dock, a temporary, e0.5 million flood gate - ‘‘which provided full protection for the East Wall area, but did not allow for navigation along the Royal Canal,” according to Leahy - and reinforced walling along the lower region of the River Dodder. A complete flood defence scheme has been built along the River Tolka. Rijswaterstat, the national agency in the Netherlands responsible for flood management, is the leading partner of Flood Resilient Cities. Another partner is the municipality of Paris, which is addressing the phenomenon of the ‘‘one-in-200 year flood’’. ‘‘This extremely rare event, not too dissimilar to the flooding in England last year, would result in a third of the city of Paris being underwater for three months,” said Leahy. According to Leahy, a central aspect of Dublin’s flood strategy is to use flood mapping to detect areas at risk. Other initiatives include an early-warning system that can warn about a flood more than two weeks ahead of the risk. Leahy said there were increased partnerships with state bodies and other organisations, and coherent flood emergency management services in Dublin city and the rest of the country. ‘‘This would include the defence forces, coast guard, fire brigade and any other required resources of the state,” Leahy said. Another aspect of the Flood Resilient Cities is to prioritise multi-agency cooperation and the coordination of local communities which can minimise the disruption to people and property. Leahy said the city council would make it mandatory for properties built from 2009 onwards to adhere to regulations that demanded best practice with regard to minimising flood damage. Much property development in Ireland has been badly thought-out, with poor quality building and few facilities, according to property developer Mick Wallace. Wallace was speaking at Dublin City Council’s ‘Maximising the City’s Potential’ conference in Croke Park last week. ‘‘We should be focusing a bit more on creating a strong society,” he said. ‘‘I see a lot of things that could be different, that should be different. We have a lot of housing estates without playing fields, a lot of apartment blocks without community facilities. Wallace said there seemed to be a power breakdown between government and councils, and that councils should be given more money and more authority. He also criticised the 2002 decision by the government, to allow developers pay a fee in lieu of providing social and affordable housing. He said that the original legislation that made developers provide social and affordable housing was a ‘‘wonderful idea’’, but that the government backed down on the deal after pressure from developers. Wallace said that the scheme needed to be more flexible, to allow the delivery of more social and affordable homes. He said that, at times, the number of units being sought under the legislation made developments ‘‘unbankable’’. ‘‘We could use greater density and height, as well as ensuring community gain,” he said. Environment minister John Gormley is close to publishing legislation on a new system of waste levies which are aimed at making incineration commercially unviable. Gormley, who is opposed to the €250 million Poolbeg incinerator in his own Dublin South East constituency, is drawing up a new waste policy to hike landfill and incineration levies, while promoting mechanical and biological treatment of waste. He expects to publish the new legislation before the Dáil summer recess. The Environmental Protection Agency (EPA) held oral hearings on the proposed granting of a licence for the Poolbeg incinerator last week. The hearings were adjourned until this Thursday to allow consideration of a new report on air quality submitted by Dublin City Council. Gormley did not address the EPA oral hearing and a spokesman for the minister said his powers did not extend to directly intervening to stop the incinerator proceeding. ‘‘He can’t ride in on a white horse and stop the incinerator in its tracks, but our policy is that the well-managed landfill of residual waste is superior to burning it in our backyard,” said Ciaran Cuffe, the Green Party TD for Dun Laoghaire who addressed the oral hearing. The Poolbeg incinerator would be capable of taking 600,000 tonnes of municipal waste, which is more than the amount of waste produced in the Dublin City Council area. Waste experts believe the facility would need to take waste from the rest of the country to prove viable. However, the Green Party has claimed that this would undermine the national waste policy set out in the Fianna Fáil/Green Party Programme for Government. Cuffe said a report by Dr Brian Broderick, an air-quality expert at Trinity College, which was revealed at the hearing last week, ‘‘raises serious questions about the potential impact on air quality from the proposed incinerator’’. Broderick, who was retained by An Bord Pleanála, said air pollutants in the area exceeded EU limits in some cases, and that the level of pollution meant there was limited capacity for further pollution, either from emissions or truck traffic. ‘‘This raises serious questions about the validity of the evidence that Dublin City Council is putting forward,” Cuffe said. Two previous reports from Dublin City Council stated that air-quality standards in the area were within the limits laid down by the EU, and that the incinerator would not exceed these limits. Cuffe said studies showed that the amount of residual waste for disposal after pretreatment in the country could be reduced to between 400,000 and 600,000 tonnes from 3.2 million tonnes, which would meet the terms of an EU landfill directive. The Dublin Docklands Development Authority (DDDA) signed an agreement with property developer Liam Carroll allowing him to build taller buildings on the north quays in Dublin than was provided for in the master plan for the area. The Brooks Thomas site is being developed as the new head offices for Anglo Irish Bank and law firm O’Donnell Sweeney Eversheds. Details of the agreement emerged during a court case taken by developer Sean Dunne and his company North Wall Quay Property Holdings against the DDDA and Carroll’s North Quay Investments (NQI). The case centres on access to Dunne’s site, which is surrounded by the Carroll site. 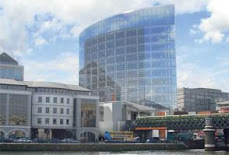 When Carroll first sought planning permission from Dublin City Council for the development of the Brooks Thomas site, the DDDA objected, saying the proposed eight storeys of commercial development on internal streets went against the North Lotts planning scheme, which required that such buildings be no more than four storeys high. ‘‘This would result in significant overshadowing of internal streets,” the objection said. Dublin City Council refused the application and, less than a month later, Carroll applied to the DDDA for a certificate to develop a similar scheme. The DDDA and Carroll then reached an agreement on May 31 last year, whereby ‘‘the executive of the authority will recommend to the board that the application .. . be granted by the authority’’. Carroll was to give over part of the site for a public park as part of the deal. ‘‘The authority will continue to implement the necessary procedures ... to adopt a modified planning scheme for the North Lotts area which, once adopted, would enable NQI to apply for and obtain [a certificate] for an increased quantum of development, predominantly commercial on the site within 12 months of the date of this agreement,” it states. The DDDA said ‘‘it is critical to NQI to obtain such a certificate or alternatively planning permission from Dublin City Council within the said 12-month timeframe in order to allow NQI to honour its commitments to certain prospective tenants at North Wall Quay’’. Dunne’s company found that, although the authority knew ‘‘the development proposed was inconsistent’’ with the planning scheme, its director of architecture, John McLaughlin, was ‘‘satisfied that a development compatible with the planning scheme and satisfactory to Mr Carroll and his tenants can be agreed’’. The Durkan Group has been refused planning permission to redevelop a site on Harcourt Terrace in central Dublin, which it acquired from the state in return for nearly 200 affordable housing units in west Dublin. The developer had sought permission to demolish the existing Garda station, film censor’s office and other buildings and to build a mixed-use residential and office development of more than 18,000 square metres, including car parking. It would have included 43 apartments and just under 14,000 square metres of office space. However, An Bord Pleanála decided that two of the apartment buildings ‘‘would fail to respect [their] context’’ opposite Regency period buildings and adjoining Victorian houses. The board said the blocks ‘‘would adversely impact on the setting of the protected structures opposite and would not be of the standard required to justify the removal of the existing Garda station building on the site’’. Therefore they would ‘‘seriously injure the visual and residential amenity of the area and. . .be contrary to the proper planning and sustainable development of the area’’. The main office block proposed ‘‘would be visually obtrusive’’, the board said, and ‘‘overbearing’’. It also said that the rear office block proposed would ‘‘seriously injure the residential amenities of adjoining property in this residential conservation area’’. A €200 MILLION development, set to be the largest ever built in Tralee town centre, was yesterday given the green light by the town council. The project, which involves a land swap, will see the relocation of the historic Austin Stack Park and the adjoining John Mitchel’s GAA Club. The 11 acres, currently occupied by the club and the county GAA board, will be turned into residential, office, retail, leisure and community facilities. Some 400 jobs will be created during the construction process, while 1,000 full and part-time positions will be in place when the development is complete. Tralee Town Council yesterday indicated its intention to grant planning permission for the project and work could start next year. The consortium behind the development said it would be a boost for the town and would create substantial employment at a challenging time for the economy. Under the deal, which sees the 11-acre town centre site being swapped for 200 acres outside Tralee, Kerry County Board is to develop two new complexes to replace Austin Stack Park. A 15,000-seater stadium, a practice pitch, 20,000sq ft of offices and parking for 1,200 cars are planned for Ballybeggan, plus a 30-acre training academy at Currans in mid-Kerry. The John Mitchel’s club has obtained planning permission for the development of a new sports complex at Skehanagh, Tralee. As part of the deal, The Kingdom County Coursing Club is also to develop new coursing facilities at Ballinorig, Tralee. THE extension of Luas to the Point Depot in Dublin will link up with the city's newest train station, as long as commuters don't mind a 350-metre walk. The Department of Transport insisted yesterday that the docklands Luas was integrated with the docklands station, but admitted a short walk would be required to move from one public transport system to the other. The bizarre possibility of an "integrated" public transport system requiring the use of an umbrella to make a connecting journey was raised yesterday, with Fine Gael accusing the Government of making a "huge mistake" and failing to learn the lessons of the past. Enterprise, Trade and Employment spokesman Leo Varadkar said the decision not to have Luas stopping at the docklands station was "madness", and urged the Government to re-consider the route. "Commuters are still scratching their heads about the Government's decision not to link the red and green Luas lines, this mistake is now being rectified at the cost of millions of euros," he said. "Fianna Fail is about to make the same mistake in the docklands. The new Luas docklands extension will not link up with the existing Iarnrod Eireann docklands train station. Once again, Fianna Fail is showing that it cannot learn from its mistakes. "Minister Noel Dempsey must urgently review this crazy decision. Dublin commuters already have to face traffic gridlock, the M50 car park, the insanity of the Mad Cow, an inadequate bus network and the prospect of a congestion charge. To build a Luas almost half-a-kilometre from an existing train station is a further insult." Last week, Mr Dempsey said, in reply to a parliamentary question, that the Luas extension to the Point Depot would include a stop at Spencer Dock. A spokeswoman for Mr Dempsey said the Luas and docklands rail would be integrated. The Railway Procurement Agency, responsible for delivering the Luas extension, added the Luas would stop "very close" to the docklands. Dublin Airport could be home to a €4bn high-rise "city" within 20 years, under plans unveiled yesterday. Stretching over 350 acres, Dublin Airport City will be almost a third of the size of London's Dockland development. The completed project will include more than 600,000sqm of office space, as well as retail space, hotels and an aviation college. The city is expected to be developed over 15 to 12 years, with the first phase coming on stream in 2012. Launching the plans yesterday, the Dublin Airport Authority (DAA) said the venture would ultimately contribute more than €1bn to the Irish economy each year. Some 30,000 people are expected to work there, including 10,000 new jobs, while 2,000 people will work on its construction over the next 20 years. Dublin Airport is far from the first to build its own city, but the DAA believes Ireland has a "unique opportunity", since the landbank at the airport is bigger than most other airports have. The DAA already owns about 90pc of this land and says it is confident of buying up the "remaining pockets" in time for the development. The airport authority has yet to firm up any tenants for the project, or finalise how it will be funded. But DAA chief executive Declan Collier said, after two years of "extensive soundings", he was confident there would be "plenty of interest" in the city. The site will be directly linked to the airport via the new Metro, offering access from offices to airport in just six minutes. On the funding side, DAA chairman Gary McGann insisted the project had a "managed level of risk", despite its vast scale. He also stressed the €4bn figure was a scientific figure for the value of the development and "not plucked out of the air". The DAA is "hoping" their city will be processed through An Bord Pleanala's fast-tracked planning system for "strategic developments", since the project is "for the common good". Mr Collier, however, admitted there was "no doubt" that the project would prompt objections. "What I hope is that we don't have the same kind nuisance objections that we've had for some development," he added. Both Mr McGann and Mr Collier stressed the project would not detract from the running and developing Dublin Airport. The DAA hopes to make profits of €600m from the City, which may be used to fund airport infrastructure, they argued. Taoiseach Bertie Ahern yesterday applauded the "visionary" plans. The transition towns initiative aims to change the way we approach 'life after oil'. But what do they mean by 50-mile meals, eco-markets and edible landscapes? asks Sylvia Thompson . YOU'VE HEARD of eco-villages, but what about transition towns? This new buzz term in environmental circles refers to towns which are planning ahead for a time when fossil fuels will be scarce, oil will be expensive and there may well be government taxes on greenhouse gas emissions. But instead of spreading a message of doom and gloom, the transition town movement is upbeat and positive, encouraging local food production, community-based waste management and energy-saving initiatives and local sustainable businesses. "It's all about resilience," says Davie Philip, communications manager of the Cultivate centre, who has just set up a transition towns network in Ireland. "What we face with peak oil and climate change is a shift in the way we do things. Unless we have some systems in place, it will be very difficult." Ths transition town was started by Rob Hopkins when he was a teacher of permaculture (a system of "permanent agriculture" which works with rather than against nature) at the Kinsale Further Education College a few years ago. Together with his students, he developed the so-called Kinsale Energy Descent Plan which includes dozens of practical ideas to reduce Kinsale's oil dependency so that it could become a more sustainable town. In 2006, the plan was adopted as policy by Kinsale Town Council and the transition town initiative was given €5,000 to develop the programme. "WE'VE JUST HAD a Spring Fair in Kinsale which we ran in conjunction with the Tidy Towns Committee," explains Klaus Harvey, a member of Kinsale Transition Town steering group. The fair included an eco-market, environmental workshops at the Kinsale Further Education College and the launch of a local campaign to reduce energy consumption. "Last year, we hooked up with the Kinsale Good Food Circle for the Gourmet Food Festival in October. We challenged chefs to come up with a 50-mile meal and awarded a prize to the best-tasting dish," says Harvey. Community gardens have also been set up in Kinsale and the group gives talks to children in the local schools. Public meetings are held once a month. "Basically, it's a re-localisation project because globalisation isn't sustainable," says Harvey. "The whole way we've lived for the past 100 years has been dependent on fossil fuels and the planet is becoming more damaged. "Ireland is very vulnerable economically. For instance, 90 per cent of our food comes from abroad. The Transition Towns initiative seems very sensible to me and I think 'life after oil' can be just as good if not better because people can lead healthier lives, be more involved with their communities and spend less time stuck in their cars." It is precisely this optimistic view of a world less dominated by a globalised economy and more driven by sustainable community systems that is attracting people to the transition towns initiative. When he moved from Kinsale, Rob Hopkins brought his ideas with him to Totnes in Devon and in the past two years, Transition Towns committees have formed in more than 40 towns across Britain. Hopkins' book, The Transition Handbook - from oil dependence to local resilience (Green Books), was published last month and is already in its second print run (5,000 copies were printed initially). In The Transition Handbook, Hopkins suggests a number of things which add so-called resilience to communities. These include local composting rather than central recycling; planting fruit and nut trees rather than ornamental trees (he berates the Millennium Forests initiative as a wasted opportunity); the use of local building materials rather than imported ones; local community investment mechanisms rather than carbon offsetting; singing in a local choir rather than buying CDs and playing football rather than watching it on television. Hopkins also suggests the transition approach differs from conventional environmentalism in that it encourages group behaviour and focuses on a holistic approach rather than on single issues. According to Hopkins, it also engenders hope, optimism and proactivity rather than fear, guilt and shock as drivers of action. And crucially, it targets the man and woman in the street as the solution rather than the problem. "It's not a mass movement right now," admits Philip. "And, most people won't listen to this stuff but in five to 10 years' time, they will be glad that some people took these initiatives." Incidentally, the main difference between eco-villages and transition towns is that eco-villages are usually smaller, self-contained groups of homes, businesses and community projects while transition town initiatives attempt to change the structures, approaches and attitudes of entire communities. "The move towards more localised energy-efficient and productive living arrangements is not a choice; it's an inevitable direction for humanity," writes Hopkins in The Transition Handbook. If that's the case, surely we need governments and business people to lead the way? "The principle of transition is that we do it for ourselves. We haven't got the luxury of waiting for others to get started although we will lobby local and central Government as part of our work," says Philip. "It's also significant that in Ireland, the three Green Party ministers are speaking the same language as we are." KATE PARK IS a member of Fada, the transition town initiative in Newbridge, Co Kildare. She was one of about 50 people from towns including Carlow, Kilkenny, Tralee, Clonmel, Greystones and Tramore, who attended the first meeting of the Irish Transition Towns network last month. "We started about two years ago, creating a vision of how Newbridge could be in the future. We decided to focus on food because this is the most vulnerable area. We had an allotment project outside the town but we've realised we need another one that people can walk to," she explains. Fada has also set up a mobile gardening group made up of volunteers who will cultivate people's gardens for them. "We also want to plant fruit and nut trees in a move away from decorative gardens to edible landscapes," says Park. "What we've found is that people are interested but they can't commit to day-to-day involvement. The concept of peak oil and the decline in supply of fossil fuels and the fact that everything will be more expensive and less accessible hasn't struck people yet," she says. "It can be confrontational to suggest that this will be the case so we feel we have to introduce the ideas in a sensitive way by focusing on the solutions and getting the community - particularly young people - involved so then there will be lots of benefits for people." Getting more local people involved in transition town initiatives is definitely the next step. Even in Kinsale, a survey has pointed out that only about 55 per cent of local people were aware of the initiative. "It's a question of chipping away and liaising with other community groups in the town," says Harvey. ON NOVEMBER 1ST, 2005, at the Government's fanfare launch of its €34 billion Transport 21 investment programme, then minister for transport Martin Cullen announced that St Stephen's Green would become the capital's key transport hub. "It will be to Dublin what Grand Central is to New York," he said. A discreet veil was drawn over the environmental impact of this radical proposal, particularly on the much-loved park that was given to the people of Dublin in 1880 by Sir Arthur Edward Guinness, Lord Ardilaun, under an Act of Parliament entrusting its long-term care to the Commissioners of Public Works. Although the route of Metro North - the proposed line linking St Stephen's Green with Dublin Airport and Swords - is shown on maps that are publicly available on the Railway Procurement Agency's website (www.rpa.ie), the detail of what is being planned in and around the Green is not immediately evident. However, design drawings seen by The Irish Times clearly show that at least a quarter of the park would be devastated by the scheme. It would, in effect, be turned into a vast construction site, requiring the removal of the landmark Fusiliers' Arch at its northwestern corner, dozens of mature trees and a large part of the lake. In order to create the underground concourse and platforms for the proposed "Grand Central" station, a huge hole more than 20 metres deep and 160 metres long would be excavated at this location, extending beyond the railings from a point opposite the Fitzwilliam Hotel to a point opposite the St Stephen's Green Club. This "cut-and-cover" project would take at least three years to complete, requiring some traffic diversions in the area. Excavated material would be removed by trucks using an access point on the north side of the Green and running down Dawson Street. Operation of the Sandyford Luas line would be unaffected. To facilitate the movement of Metro North trains at their terminus station, the twin tracks would be burrowed under the middle of the park towards its southeastern corner and there would also be a large turnback loop, which is apparently to be tunnelled using the same "drill and blast" technique common in coal mining. The St Stephen's Green station on CIÉ's planned rail interconnector, or "Dart Underground", linking Heuston Station with Spencer Dock, would also have a negative impact at ground level. A 200-metre stretch along the northern side of the Green would be turned into a construction site, with the loss of more trees. Its station would be constructed on a transverse axis, partly beneath the Metro North station, using more "drill and blast" excavation underground, requiring the removal of some 8,000 truckloads of material. However, it is unclear at this stage whether these two projects by rival agencies will proceed in tandem. Even after the park is restored with replacement trees and the Fusiliers' Arch and lake are reinstated, the character of St Stephen's Green would be permanently altered by visible - and discordant - elements of the two stations above-ground, including ventilation ducts, emergency escape stairs and other accoutrements. For example, the drawings prepared by the RPA and consultant engineers Jacobs International show a cluster of air vents on the island in the park's lake which is a refuge for ducks and waterhens. No wonder the Office of Public Works (OPW) was "aghast" when it was first shown the plans, according to a source. When the Sandyford Luas line and its current terminus on the west side of St Stephen's Green was under construction, the OPW was so protective of the park and its curtilage that it wouldn't even permit any encroachment on the footpath outside. Now, it is faced with the prospect of much of the Green becoming a building site. "It beggars belief that four decades after the battle to save Hume Street they're now planning to demolish St Stephen's Green," said one engineer who examined the detailed drawings. "But it's clear that the Green was selected [ for construction of the station] because it's a wonderful works site, a big open space." IN 2006, THE Green was shortlisted for the Academy of Urbanism's Great Place award. The academy's poet in residence, Ian McMillan, wrote that "every city needs a green like this/To pause for a moment in the city's throng/This green is a smile and this green is a kiss/ And Dublin is the city where St Stephen's Green belongs". An OPW spokesman said it was liaising with both the RPA and CIÉ to mitigate the environmental impact of the metro and rail interconnector works. He also pointed out that, technically, the park is now vested in the Minister for the Environment and said an amendment to the 1877 St Stephen's Green Act would probably be needed. John Costigan, managing director of the Gaiety Theatre, has also expressed concern that one of the twin-bore metro tunnels would come perilously close to its fly-tower, which was rebuilt in recent years on steel piles with a depth of 10 or 11 metres, and that the theatre could be affected by vibrations from the metro. It is clear that the "Grand Central" plan was driven by the Sandyford Luas line terminating on the west side of St Stephen's Green. But since the Luas line is to be extended northwards, via Dawson Street and College Green - as originally planned, until the Government ditched it in 1998 - it would be duplicating Metro North. THE COST OF the 17km metro line was estimated at €4.58 billion in 2004, though this was never publicly admitted by the RPA. With construction cost inflation since then, plus the addition of a new station at Parnell Square and agreement to put the line underground in Ballymun, the figure could now be as high as €6 billion. That would work out at €353 million per kilometre for a single line which, the RPA admits, would carry elongated Luas-type trams rather than heavy rail metro trains. This contrasts with €60 million per kilometre for the extension of the Tallaght Luas line in Docklands - the most expensive Luas project to date. Even on the basis of that high figure, the RPA could build more than 100 kilometres of street-running Luas lines for the price of Metro North - and a lot more at a lower cost per kilometre. Such a change of plan would give Dublin a light rail network, serving many more areas than the limited Swords-St Stephen's Green corridor. Given Metro North's price tag, which the RPA has been trying to reduce by cutting back on station design, it would make more sense to terminate it at O'Connell Bridge or, better still, underneath Tara Street station. If this was done, the rail interconnector's cost could also be cut because it wouldn't have to swing south to Stephen's Green. The cost of Metro North could also be reduced by substituting a surface-running Luas line between Dublin Airport and Swords. Another obvious cost-cutting measure would involve boring a single tunnel wide enough to carry trains in both directions, rather than the separate tunnels for each track currently proposed. The RPA is in the process of selecting a "preferred bidder" for the Metro North project from a shortlist of four consortiums and preparing an environmental impact statement, with a view to making a formal application for a railway order in August. By then, the design of the project will be set, sealing the fate of St Stephen's Green. WHO CALLS THE SHOTS THE MAYOR, THE MINISTER OR THE TRANSPORT AUTHORITY? The DTA's first duty will be to prepare a six-year transport strategy for the GDA - in consultation with the local authorities as well as the wider community - covering investment in infrastructure, and the procurement and integration of public transport services. In preparing its integrated implementation plan, the DTA will get written guidance from the Minister on "multi-annual funding arrangements", though it will be obliged to have "due regard" for "the most beneficial, effective and efficient use of Exchequer resources". Where possible, the DTA is required to secure the provision of public transport infrastructure through existing agencies, such as the National Roads Authority, the local authorities, Iarnród Éireann and the RPA - though it will have "step-in" powers, if any of these fail. However, the Bill does nothing to liberalise or open up the Dublin bus market. The "exclusive rights" of Bus Éireann, Dublin Bus and Iarnród Éireann to operate the services they currently provide are reaffirmed, and the DTA is obliged to award them direct contracts. Whatever else its critics might say, the Dublin Airport Authority cannot be accused of lacking ambition following yesterday's announcement that it plans to develop a new €4 billion "airport city" over the next 20 years. Even Ryanair's response was muted: "We thought that was called Swords," the budget airline told The Irish Times. It's a hugely ambitious project, particularly when funding is tight on global markets and the cost of borrowing has ticked upwards recently. That's to say nothing of the global economic downturn, the effects of which are being felt here. It also comes at a time when the DAA is in the middle of a much-needed €2 billion revamp of its airport facilities. The DAA says the 350-acre development is needed to secure its long-term future and hinted that the revenue streams that the new business district will generate could be used to keep airport charges in check. DAA chief executive Declan Collier estimated that it would generate about €600 million in revenues for the airport manager over the lifetime of the construction. This is not to be sniffed at, although the devil will be in the detail. The DAA has yet to tell us how it will fund the project or how it will manage the scheme. The expectation is that a separate company, with significant private sector involvement, will be set up to manage the construction and operation of the project. Quite what return the DAA will generate on a continual basis remains to be seen. The €4 billion price tag might also turn out to be just a stab in the dark. Taoiseach Bertie Ahern said it would be a "strategic gateway" for the national economy and would strengthen the attractiveness of the Dublin-Belfast economic corridor. The 30,000 jobs will be a huge boon to the area, which explains why Fingal County Council is enthusiastically on board. But only 10,000 will be "new" jobs. The rest will be displaced from other parts of the city or country. Will there be sufficient demand or will this simply be a white elephant in post-Celtic Tiger Ireland? The Irish economy has slowed dramatically this year - Goodbody Stockbrokers predicted this week that GDP growth could be just 1.1 per cent. DAA chairman Gary McGann acknowledged that there are risks involved. "We're planning to take a risk-managed approach," he explained, adding that each phase would be pre-funded and pre-let to tenants. Airport cities are nothing new. They exist across the United States and in many European capitals. Schiphol in Amsterdam is a good example. China has 15 in various stages of planning. The trick is making them fly. Dublin Airport City, if completed to plan, would be about one-third the size of the London Docklands, a rather sterile area at night. But, Park West in Dublin has failed so far to establish itself as a vibrant business district and not just another traffic-choked over-sized industrial estate. The DAA's plan has to deliver something totally different and more sustainable. With nothing more than a few computer-generated graphics to go on, it's too early to say if the project will actually get off the ground. Is U2 facing heartbreak hotel?